smartphone audiences are concerned. Mobile optimization is such an important issue, in fact, that Google has established guidelines for mobile web content – but more than 60% of Fortune 100 companies are at risk of a mobile search downgrade due to failure to follow them! 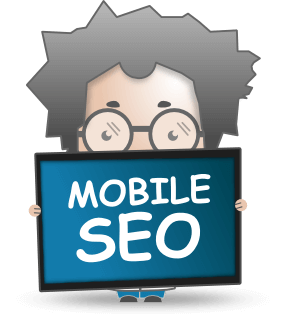 There are many problems that interfere with mobile (as opposed to desktop-based) search rankings. Anything that keeps users from having an ideal mobile experience will be detrimental (which is one reason companies may want to think twice, for instance, before forcing users to download their apps when doing online searches). Businesses should also take into account that screens are smaller, typing on a mobile device is more difficult, and mobile networks are slower. Therefore, the delay caused by videos that won’t play, redirect errors, and prompts to “click here” or “read more” may cost you customers. To start, according to mobiThinking.com, the basic principles of good SEO that apply to desktop searches also apply to online users: URLs and keywords, for instance, should honestly and accurately reflect content in order to help consumers find what they’re looking for. As always, over-using (or artificially using) keywords should be avoided. Content quality should be high and add value. 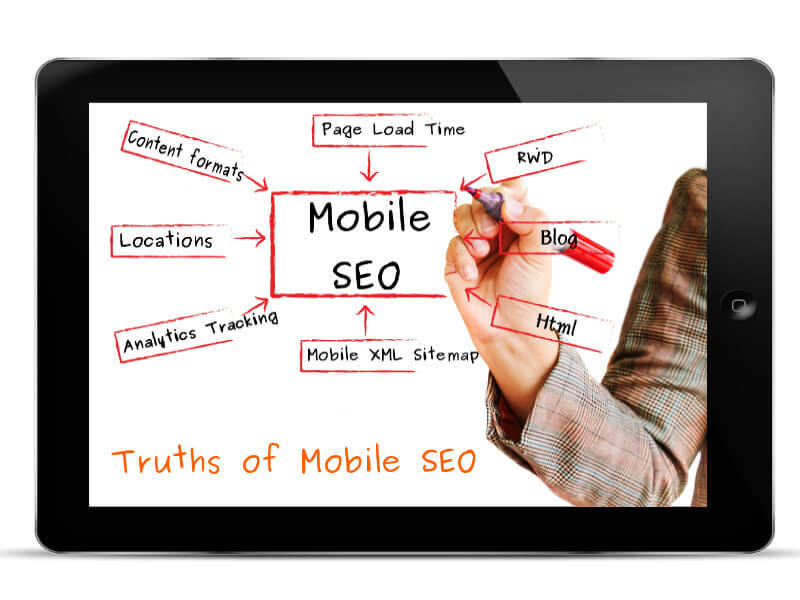 Beyond these basics, however, good mobile SEO should work around the limitations of mobile devices and capitalize on what’s unique about the experience of those using them. 1. Responsive Web Design (RWD): This type of mobile site uses CSS to reconfigure what appears on the page for mobile devices. Google recommends RWD for smartphones. Drawback: page loading time can sometimes take too long. RWD also does not work for feature phones. 2. Dedicated Mobile URL: Visitors on mobile devices are automatically re-directed to the mobile-optimized site (with a URL often beginning with “m.”). This is a good option when content for mobile users is different from what desktop users need. 3. Adaptive Web Design: Mobile users get a mobile optimized site, but the URL is the same. If the desktop version would be too slow on a mobile device, this is a good choice. 5. Marketing mobile-specific products (For instance, gaming stores would market mobile game apps to mobile phone users but not necessarily PC users). SEO helps online searchers find what they need; with some luck, that will be you. In order to best serve potential clients, don’t just count on luck, however. Employ not only best practices in general, but also think carefully about the specific added features and limitations mobile device use entails.